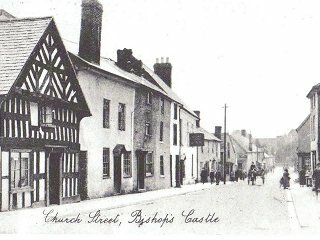 Our long-term aim is to record the history of all the houses and buildings in the centre of Bishop's Castle. 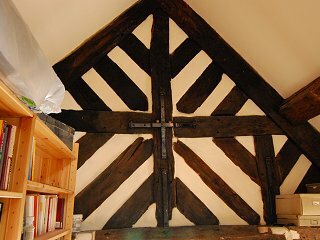 We are concentrating initially on Church Street and High Street where many of the oldest buildings are found. We collect and file other information as it comes to us and will research individual buildings elsewhere as the need arises. Measurement, photography, recording of architectural features, building techniques and creating scaled drawings. Documentary and photographic evidence is sought for each individual property. Fixed-point data for the Bishop’s Castle area is being gathered and analysed. We will always try to help with house history enquiries. We welcome new information and new helpers. For more information, please contact us.